The JEE Advanced Cutoff is released every year by an Indian Institute of Technology (IIT). But, before moving to the final admission process, the candidate has to secure minimum marks or a threshold rank. IIT Roorkee authority will prepare the JEE Advanced 2019 Cut-Off which will be based on the various factors. The IIT Roorkee has lowered down this years' Cut-Off from 126 (35%) to 90 (25%). The cutoff will be released after the JEE Advanced 2019 Results. There will be two types of cut-offs which will be released by the authority. One cut-off will be just for the sake of qualifying the Advanced Exam. Whereas the other cut-off is to qualify for the admission process. Therefore, the candidates should make an effort to get marks as higher as they can. The JEE Advanced 2019 Exam is going to be conducted on 19th May 2019. The Advanced Exam will have 2 papers that are compulsory for the students to attempt. Both the papers will be conducted in on a single day. The JEE Advanced 2019 is a second level exam for the JEE. The JEE Advanced can be given by the students which have qualified the JEE Mains Exam. The candidates who want to go in the field of Engineering and Architecture can appear for this exam only after qualifying the JEE Mains 2019 Exam. 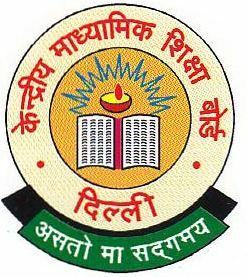 The JEE Advanced Exam is necessary to be completed by the candidates who want to take the admission in the reputed colleges of India. Conducting Authority: The JEE Advanced Exam is conducted by one of the Indian Institute of India (IITs) once every year. The JEE Advanced 2017 was conducted by the IIT Madras. Whereas, the JEE Advanced 2018 was conducted by the IIT Kanpur. The JEE Advanced 2019 will be conducted by IIT Roorkee. The Exam is a Computer-based Test (CBT) and will be taken at a particular test centre. A candidate requires an aggregate of 372 marks to qualify in the JEE Advanced exam. Without scoring the above marks, the candidates would not be able to advance to the next round. The candidates are required to score a minimum of 124 marks in each of three subjects: Physics, Chemistry and Mathematics. The candidates can also go through the JEE Advanced Cutoff for Previous Years to get a background idea of the cutoffs. The following is the Expected Rank list for the JEE Advanced 2019. You can see the minimum marks required for clearing the JEE Advanced Cut-Off for 2019. The JEE Advanced 2018 Cutoff is released by Resonance as well. You can see the JEE Advanced 2018 Cutoff by Resonance in the table below. The cutoff is classified into different categories. The JEE Advanced 2017 Cut-Off had released in the form of opening and closing ranks The following is the list of opening and closing rank for the JEE Advanced 2017. The JEE Advanced Cutoff Marks 2016 have been provided in the table below. The opening and closing ranks for different streams under differently IITs are compiled in the tables below. The JEE Advanced Cutoff for IIT is also in the table. The aspiring candidates can check the cut-off ranks for JEE Advanced Exam 2019 here. JEE Advanced 2015 Cut-Off is provided for different subjects in the table below. Please check the table for different categories.